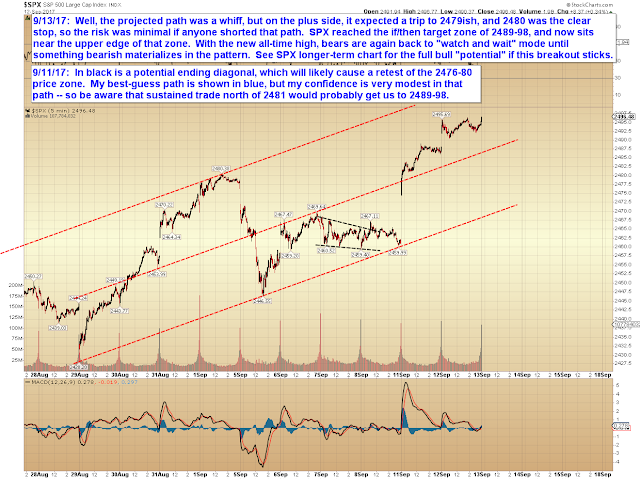 Well, SPX has proved that way back on August 21 (when I wrote about the potential that the wave was ending as a complete bullish ABC), I should have just favored the bull count. And assumed that the bulls would win every battle heading forward, like they did in my grandpappy's day, and in his grandpappy's day before him, waaaaay back when Janet Yellen was only 65. In conclusion, bears haven't had much luck with bear nests in recent years, but this time just might be different. 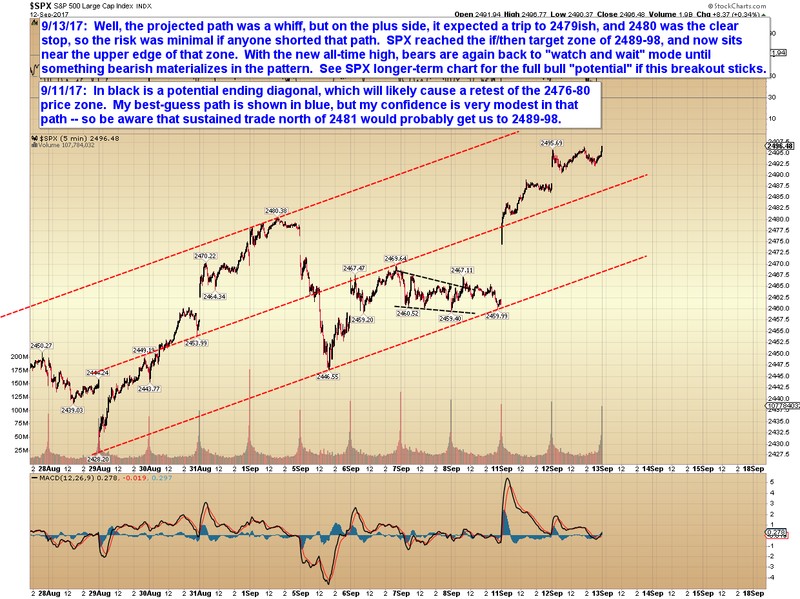 Whether it is or not, at least there is a very clear confirmation level for bears to watch (and for bulls to defend), and probable targets to aim for if/when that level fails. But nope. This time wasn't different. But at least we knew from day 1 exactly what the bears needed to do to get things in gear, and that much proved correct. In conclusion, bulls are still doing their bull thing, at least for the time being. And while there's a possibility the rally will complete soon, there's just nothing that's screaming "short!" 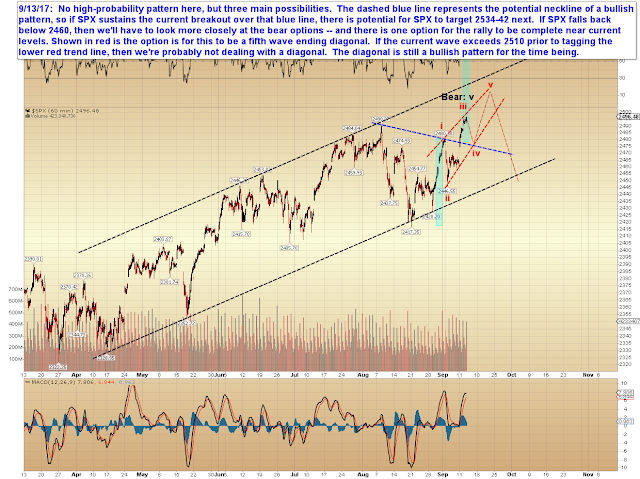 here, so bears will have to be patient and allow for the possibility of missing the "exact" top. In a perfect world, the rally won't end completely abruptly, though, and the pattern will hopefully provide more clarity and advanced warning as it develops. Trade safe.